In terms of the possibility of declaring new economic reforms, the source explained he would announce reform measures that stay within the overall framework of socialism. Taking an extra step forward from the new economic management system’s ‘June 28 Measures,’ which pertained to agricultural policies, the pending package of reforms will include provisions authorizing individuals to directly manage factories. In practice, this would enable the state to collect more taxes from the donju [newly affluent middle class] by providing them with more freedom to make money. Hints at reforms like these were largely absent from Kim Jong-un’s New Year’s Address, I argued in an earlier post. 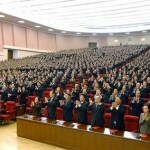 June 2010 saw two major anniversaries on the Korean peninsula. On June 25 sixty years ago the Korean People’s Army (KPA) invaded the South launching a bitter three-year war. North Korea still denies culpability, claiming it was repelling a Southern invasion; despite overwhelming evidence, now backed by Soviet archives, that it was the aggressor. No less mendaciously Pyongyang nonetheless celebrates the July 27, 1953 Armistice which ended open hostilities as a ‘brilliant victory in the Fatherland Liberation War’ — even though this left the North bombed and napalmed to ruination. China still formally backs the North’s version, but this year some brave soul decided to take seriously the late Deng Xiaoping’s instruction to ‘Seek truth from facts.’ The International Herald Leader, an affiliate of Xinhua news agency let the cat out of the bag. It featured interviews with Chinese historians telling the true story, and a timeline stating that ‘The North Korean military crossed the parallel on June 25 1950 and Seoul was taken in four days.’ Naturally, the article rapidly vanished from the web. But many Chinese now are openly critical of the DPRK, and embarrassed that Beijing continues to toe Pyongyang’s line. Youth and students and agricultural workers gathered in Susan-ri… and in Sinchon … Tuesday to vow to take revenge upon the U.S. imperialists on the occasion of the ‘June 25, the day of the struggle against the U.S. imperialists’. They bitterly condemned the U.S. imperialists and the Lee group of traitors for totally negating the historic June 15 North-South Joint…. If the U.S. imperialists intrude into the DPRK even an inch, all the servicepersons and people will mercilessly wipe out the aggressors. Rhetoric like the above is clearly intended to fan the flames of hatred. A further KCNA item on June 24 purported to list the ‘Tremendous Damage Done to DPRK by US.’ The KCNA, with unusual precision, computed a total of nearly 65 trillion dollars for human and material losses inflicted from 1945 up to the present. Considering the state of US public finances, Kim Jong-il should not expect a cheque any time soon. There is also a degree of inflation; last time KCNA published such an exercise, in November 2003, the bill was a mere US$ 43 trillion. One can only wonder what is the point of such grandstanding. So savage a mood has torpedoed a second anniversary; one which should have been happier. On June 13 2000 South Korea’s then president, the veteran democrat Kim Dae-jung flew to Pyongyang for the first ever inter-Korean summit with the North’s leader, Kim Jong-il. 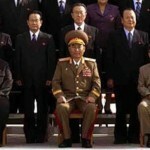 On June 15 they signed a North-South Joint Declaration; Kim Dae-jung was awarded that year’s Nobel Peace Prize. Thus began a decade of unprecedented North-South cooperation, albeit patchy and one-sided. This ‘sunshine’ policy was ended by South Korea’s current president, Lee Myung-bak, who insists that the North must give up its nuclear weapons first if it wants better ties with the South. That sounds fine in theory, but few expect it will ever happen. 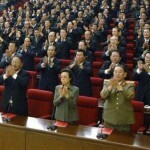 North Korea made much of the June 15 anniversary, even while excoriating the ‘traitor’ Lee Myung-bak for trampling on it. Pyongyang warmly welcomed a South Korean radical priest, Han Song-ryeol, who made the trip illegally to mark the occasion. South Korea by contrast played up the war anniversary more than the inter-Korean one. Lee Myung-bak used this occasion to once again call on the North to admit that it sank the ROK corvette Cheonan on March 26, and to apologise. Will the Cheonan go unpunished? Nevertheless, it looks increasingly like Pyongyang has got away with it. June brought Lee Myung-bak little joy on the issue, at home or abroad. Local elections in South Korea on June 2 saw his ruling Grand National Party (GNP) rebuffed. Many voters saw Lee’s tough first reactions, which roiled global markets, as adding to rather than reducing risk. Abroad too Lee has met obstacles. Assured of firm US and other Western support he is struggling to convince Russia and China. That was predictable: for Beijing and Moscow, unwillingness to paint Pyongyang into a corner was always going to trump the facts. A Russian naval team visited Seoul to inspect the Cheonan wreckage, including DPRK torpedo parts, but is not expected to report until July. In this light the ROK government will be relieved that the G-8 summit in Canada on June 25 issued a strong statement on the Cheonan – after energetic lobbying by Japan’s new prime minister Naoto Kan, which will get his relations with Lee Myung-bak off to a good start. Connoisseurs of diplomatic wordplay noted that while the G-8 condemned the attack, noted that an international team had blamed it on Pyongyang, and called on the DPRK to avoid any attacks against the ROK, it did not quite join up all those dots; doubtless at Moscow’s behest. Lee may lobby similarly when he arrives for the ensuing G-20 summit; although since South Korea chairs the group and will host its next jamboree in Seoul in November, it may look bad if he were perceived as acting in too particularist a way. Earlier, on June 4 South Korea formally referred the Cheonan incident to the UN Security Council (UNSC). On June 14 both Korean states briefed the UNSC, with the North as ever denying all responsibility and urging the Council not to consider the matter. No official response is expected until July. With Russia and China likely to abstain at best, whatever the Security Council eventually comes up with looks set to be a damp squib. South Korea has already said it will not seek further sanctions, on top of those already in force under earlier UNSC resolutions from 2006 and 2009 after the North’s two nuclear tests. But it would like a clear, resounding condemnation, preferably in the form of a resolution. Looking ahead, it is not too soon to wonder how the two Koreas will get past Cheonan. Record numbers of DPRK workers at the Kaesong Industrial Zone (KIZ) – 44,000 as of June, according to the ROK unification ministry (MOU) – are seen in Seoul as a sign that at some level Pyongyang remains committed to this joint venture at least. Meanwhile North Korea looks more preoccupied with the succession issue than in reaching out to South Korea. Though nominally it is North Korea’s ruling communist party, and still an important tool of control at lower echelons, the WPK has seen its topmost organs atrophy under Kim Jong-il. Neither the rarely mentioned Politburo nor the Central Committee (CC) is known to have met at all in the 16 years since Kim Il-sung died. 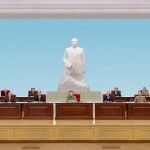 Kim Jong-il has favoured the army, ruling through the NDC and informally via a kitchen cabinet of trusted cronies. The dear leader is also of course secretary-general of the WPK, but he acquired that post irregularly: by acclamation at a series of local Party meetings, rather than being duly elected by the CC. Hence while the precise nature of September’s meeting remains vague, like its exact date, it looks like a long overdue effort to restore a measure of due process to the Party. If this is in fact a full formal WPK congress, it would be the first since the Sixth Congress thirty years ago in October 1980. It was then that Kim Jong-il, hitherto veiled behind coded references to a mysterious ‘Party Centre’, was finally revealed in the flesh. The speculation is that this new meeting similarly will finally give the world a glimpse of the enigmatic Kim Jong-eun. While all rumours emanating from Seoul should be treated carefully it’s hard not to link this news with reports that Kim Jong-il’s health is worsening. There are claims that on some aides including his son are duping him with Potemkin factories to hide from him how dire the economy really is. An already tardy succession can clearly brook no further delay, or else regime stability and continuity may be gravely imperilled. If Kim Jong-il wants to know how his economy is really doing, he could look at the latest estimates from the enemy. The (southern) Bank of Korea (BOK) published its latest estimates, covering 2009, on June 24, just in time for Seoul to crow about them as it marked the Korean War anniversary. 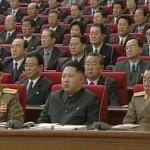 By this reckoning North Korea’s real annual gross domestic product (GDP) shrank by 0.9 per cent last year. Unlike most other countries this had little to do with the global financial crisis. Rather it reflected local conditions, natural and man-made. With trade figures the gap is even wider. This year inter-Korean trade will fall, since Seoul has banned most of it (except the Kaesong zone, which accounts for over half) as punishment for the Cheonan. Peanuts to the South, this has been crucial for the North: South Korea is its largest market, taking almost half of its meagre total exports. Last year inter-Korean trade like DPRK trade overall fell slightly, from US$1.82 to US$1.68 billion. Yet Northern exports crept up, from US$932 to 934 million. In 2009 North Korea’s real trade totals were just under US$2 billion in exports and US$3.1 billion in imports. They are still dwarfed by South Korea’s respective figures of US$364 and US$324 billion – and this in a bad year for the South, due to the downturn. 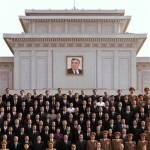 Every year the gap widens further, yet still Kim Jong-il refuses economic reform. It is hard to fathom a mind-set which can inflict such disaster and tragedy on a once proud land and people – and whose idea of a way out of its self-dug hole is to fire a sneaky torpedo. It was left to North Korea’s footballers to remind the world that their country does not lack for talent and virtue. As one would expect, North Korea were a disciplined team. They kept to themselves and avoided the press – with one striking exception, Jong Tae-se. Born in Japan to a South Korean father and a pro-North Korean mother, and having attended schools run by Chongryun – the organisation of pro-North Koreans in Japan – he elected to play for the DPRK; although he still holds ROK nationality, lives in Japan and plays in the J-League for Kawasaki Frontale. It would make a better country too. If North Korea’s fate must rest in the hands of an untried youth, better it were the warm-hearted and wised-up Jong Tae-se than Kim Jong-eun. You are currently browsing the archives for the National Party Congress category.